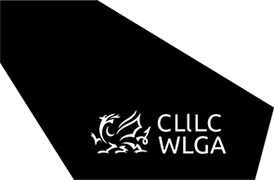 It brings together and modernises social services law in Wales. It changes the way social services are delivered to improve the well-being of the people of Wales. You will have more of a say in your care and make decisions in an equal partnership with professionals. You will be able to get information and advice to help you. Organisations such as local authorities and the NHS will work in partnership to make systems simpler and more efficient. The Act is operational from 6 April 2016. Your family and friends can take part in discussions and help you. If this isn’t an option for you, you will be able to access advocacy services. There will be a National Independent Safeguarding Board who will consider the effectiveness of safeguarding arrangements across Wales. They will monitor performance throughout the country and make recommendations to the Welsh Government about improvements that could be made. Laws to protect adults and children from abuse or neglect have also been strengthened. I am receiving care and support, or support. Will this stop in April 2016? No. Your care and support will continue as it is and you will take part in the new process at your next scheduled review date. The local authority and health board will work together to assess the population and find out what care and support is needed in their area. This will indicate the preventative services that need to be made available. Local authorities need to provide an information, advice and assistance service for people. Local authorities must promote the involvement of people who receive care and support, in the design and delivery of services, along with alternative delivery models including; social enterprises, co-operatives, user-led services and the voluntary sector. A social enterprise is a business with profits re-invested back into its services or the community. A co-operative is a group of people acting together voluntarily to meet an economic and social need in their community. User led services are run and controlled by the people who use support services. The Welsh Government’s Social Business Wales website has information about how to set up a social enterprise. Assessment will be simpler, and will be based on your needs. It will be completed in partnership with you and your family, and the professional working with you. A conversation will take place to establish what matters to you and what you need to achieve well-being. This will consider your strengths, and the resources and options available to you- including any support the local authority may provide. Will there be changes to Direct Payments? More people will be able to receive Direct Payments if they want to. This means you will be given the money to organise your own care and support to meet your well-being outcomes, increasing your personal control and choice. How will organisations work together to improve well-being? In particular local authorities and health boards will need to work closely so health and social care is better integrated. Together, they will assess care and support requirements in their area and then identify and provide what services are needed. The assessment and care planning process will require organisations to work together in an integrated approach to reduce duplication. As a carer, you will have an equal right to an assessment for your support needs, and to receive an appropriate level of support from your local authority, as the person you are caring for. The way you pay for care if you have the financial means to do so will be uniform across Wales - there will be one set of assessment and charging arrangements for all adults asked to pay for their care. This will be for both residential and non-residential care. Everyone paying a charge will receive a detailed statement explaining its calculation and it can be queried where necessary. In 2011, Welsh Government announced a cap on the amount councils can charge for non-residential care and support- this cap remains and is £60 per week. Local authorities across Wales will record their performance, and will be able to compare themselves with other areas. They can then learn and improve by sharing best practice. The Welsh Government will report on progress towards well-being in an annual report.